According to an interesting article published in El Pais last October, beer is the favourite tipple of the Spanish. Apparently 50% of Spain’s population drink beer, whereas only 20% drink wine. Back in the day, when I first came to Spain on holiday, a local told me it was safer to drink the beer than the tap water. A glass of ice-cold cerveza certainly hits the spot on a hot summer’s day, without leaving you feeling sleepy – but my own tipple of preference is wine; we do, after all, live on Mallorca . . . where there are more than 70 wineries, or bodegas. But I am interested in the relatively recent and growing interest in artisan or craft beer on Mallorca. I have previously written about Cerveza Nau. We visited their small brewery in Santa Maria again last Sunday so that The Boss could stock up, and were delighted to learn that things are going well for the two friendly owners. At the last Olive Fair in the village of Caimari, we met Belgian Michel Campioni at a stall selling his Toutatis artisan beer. A few weeks ago we finally got around to visiting the brewery, in a hamlet just outside Sencelles. Michel has a stall on the Saturday morning market in Sencelles, and you can visit the brewery on Sundays. 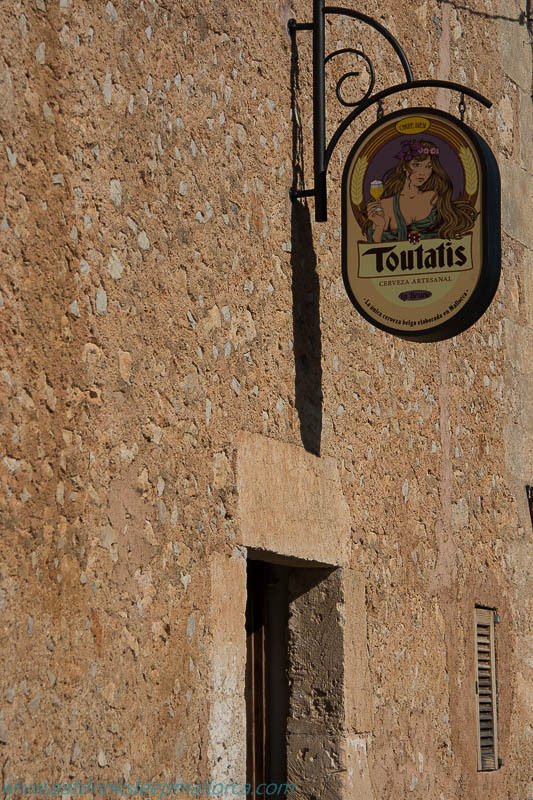 Toutatis’s La Blonde beer was one of the guest barrel beers on offer at Lórien when we visited this Palma ale house for the first time on Tuesday evening. I’d only recently heard of the place, so was a tad surprised to learn that it has been open for 26 years! We arrived early (almost the first customers after it had opened at 6pm) and met bearded owner Pep, who opened Lórien in 1990, when he was only 20. He told us he was a llonguet – explaining this was a colloquial name for someone born in Palma. And there I was thinking it was a type of Mallorcan bread roll . . . The ale house takes its name from Tolkien’s The Lord of the Rings, and offers some 150 different bottled beers from around the world, as well as guest beers from the barrel. The Boss couldn’t resist the opportunity to try a decent British brew, and chose the guest Red Point, an IPA (7.5°) from Buxton Brewery – which certainly hit the spot for him. As duty driver, I opted for a beer sin alcohol from Aragon, called Aigua de Moritz; it was new to me and I found the flavour much more enjoyable than some alcohol-free beers I’ve tried. I enjoyed it enough to have a second, while The Boss tried another guest ale . . .
We perched on stools at the bar, chatting to the affable Pep. The place has a sociable ambience and is popular with locals and visiting beer fans. We’d not been there long before regulars started to drift in, giving us a chance to study the lengthy list of bottled beers – which includes nine artisan offerings from Mallorca. Others come from the Peninsula, Austria, Norway, Scotland, the Netherlands, Denmark, England, Belgium, Germany, and Ireland. Blossom Directors Cut (13.5°) is a wheat ale by To Øl. Friends Tobias Emil Jensen and Tore Gynther founded this gypsy brewery in 2010. (Apparently it’s known as a gypsy brewery because they don’t have their own brewing premises and use capacity at other breweries to make their own liquid magic). 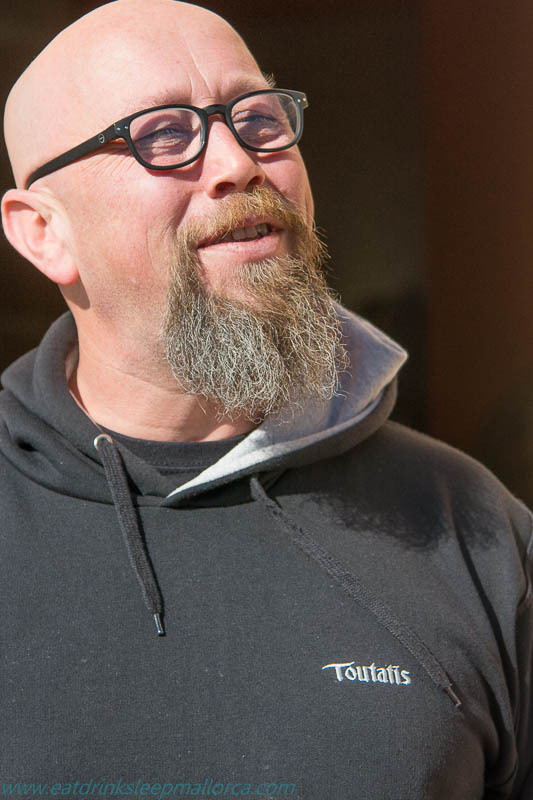 Tobias and Tore had begun brewing beer while still at school – in the school kitchen! – along with their teacher Mikkel Borg Bjergsø. Black Imperial Stout (16.7°). This staggeringly strong brew is from Mikkeller – the brewery founded by Tobias’ and Tore’s teacher (who had assisted them in their school brewing adventures). Whilst the story that links these two beers is a good one, it’s probably best not to try them both on the same night . . . If you’re going to have a beer or two at Lórien, you may want something to eat with it. The place offers a menu of 17 different filled llonguets (the bread rolls, not people born in Palma). Pep started serving these small rolls only four years ago and they seem incredibly good value, ranging from 1,60-2,10€ each. 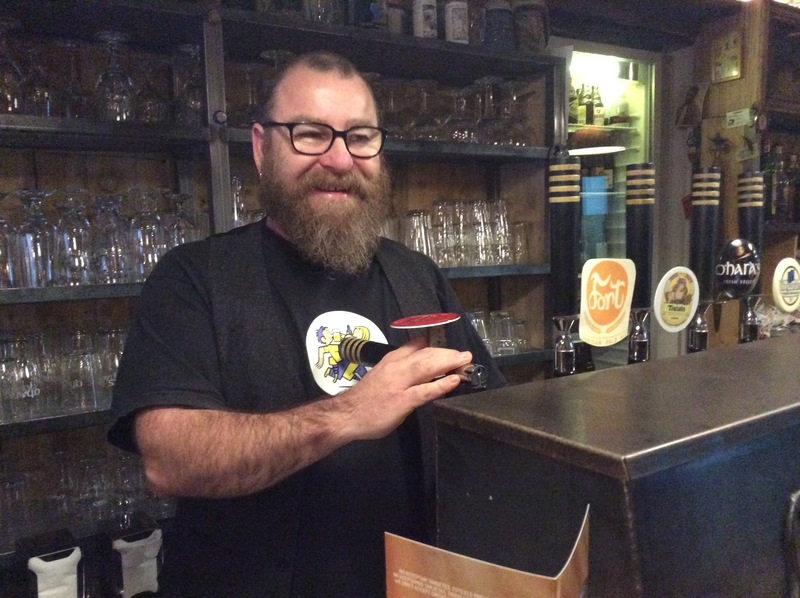 Lórien is on Facebook and Pep posts regular updates about his guest beers, so check out his pubs’s page if you’re a beer fan. 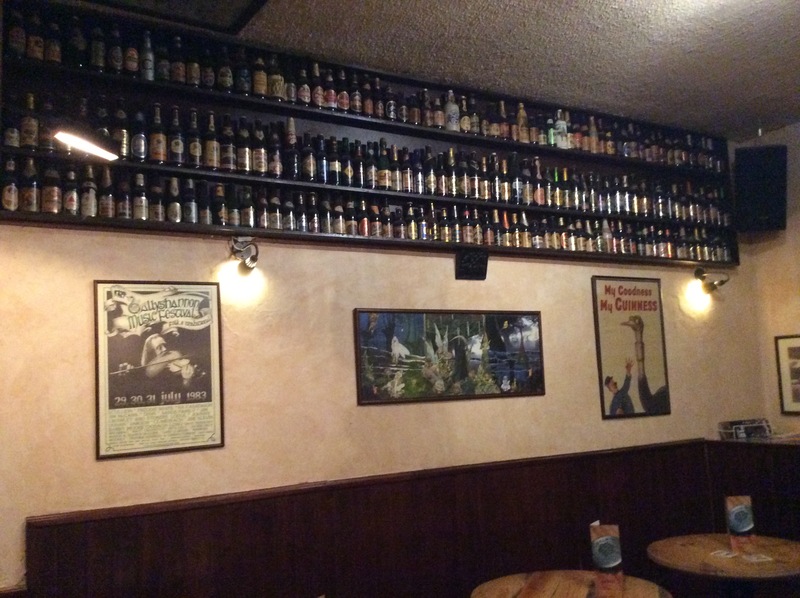 And pay a visit to this little gem of an ale house in the back streets of Palma (near the Caputxines convent), if you’re a fan of artisan beers. 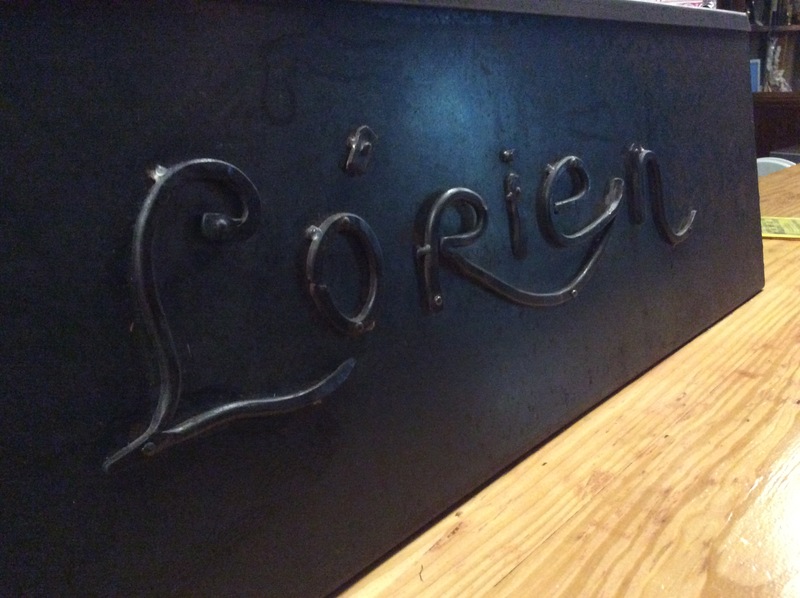 Lorien currently has live music on the last Monday of each month, but this will change in April, when Pep will close his ale house on Mondays as well as Sundays. Open evenings only, from 5pm (from April 1st) until late, Monday to Friday and from 7pm Saturday. Credit cards are not accepted here. Beer Palma – the 4th edition of this annual fair in the city – takes place in 2016 from April 30th to May 10th; many of the national and international beers sold on the various stalls are mass produced, but some artisan beers from Mallorca are usually on offer too. Thank you for your gourgeous words!! It was a pleasure, Pep! And thank you for such a great place and delicious beer!